Content Objective: I will be able to create an argument to support a claim by writing a first draft of my persuasive speech that meets the rubric requirements. Language Objective: I will use at least one Good-Writing Term for each paragraph. Do Now: Get your laptop. Take out your outline. 1. Let's practice creating a thesis statement. Use the following Claim and Reasons to create a practice thesis statement in your composition book. - Claim: Anyone can help stop global warming. - Reasons: 1. Anyone can plant a tree. 2. Anyone can recycle. 3. Anyone can save energy. 2. Now look at your thesis statement. 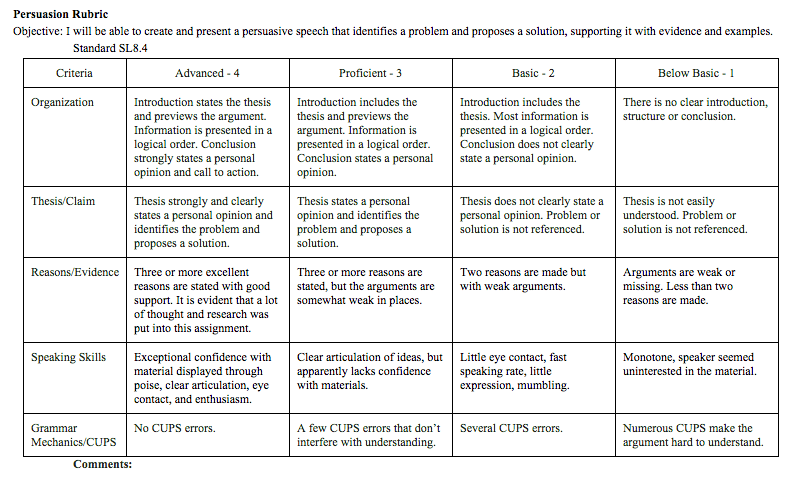 How well does it state your claim and introduce what you will discuss in your essay? 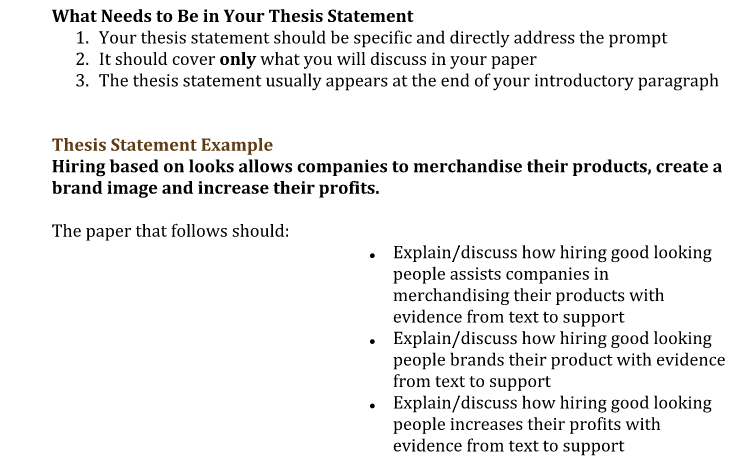 Rewrite your thesis statement if it doesn't model the example. 5. Use your outline to begin typing your first draft on Google Classroom. Mr. Westrup will give you feedback on what you've done well and what you need to improve. Exit Slip: Submit your first draft for feedback. - What are your next steps for your essay? - On a scale of 1-10, how hard do you feel you worked today?